Totally Beachfront Rental in Las Catalinas, Guanacaste. Casa Teja is situated in the exclusive condominium of Las Catalinas on Costa Rica’s Gold Coast. With no cars allowed, bike trails, walking areas, and a real community feel, the resort is ideal for families. Casa Teja is totally beachfront. In fact, the master bedroom is the closest room to the ocean in the entire condominium. Every bedroom has great views and access to the porch, as well as its own private bathroom. The property has a very open and natural feel. and the first floor can easily be converted into one complete open space thanks to the folding doors. This provides not only a great family and entertaining space, but also allows the sea breezes to flow through the property. The colonial-style home features Cuban tile throughout, with handcrafted woodwork and high-end furniture and appliances. The spacious kitchen is fully equipped, and there is wireless internet throughout the property. Pass your days relaxing and reading in the stunning library or lounging by the lap pool. 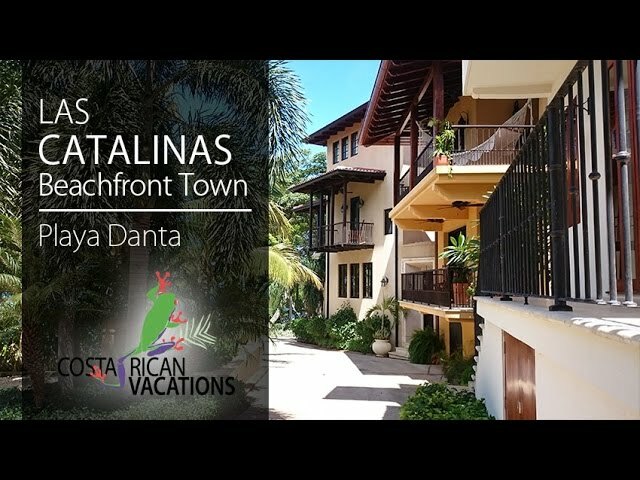 In addition, the Las Catalinas community offers beach toys for rent, a beachfront restaurant, and a beach club with daily activities and a gym. The attentive concierge will make sure that all your needs and desires are met. The “House Mom” feature includes a daily housekeeping service who will even ready your breakfast if desired. Casa Teja at Las Catalinas is truly one of the finest Costa Rican rental properties.